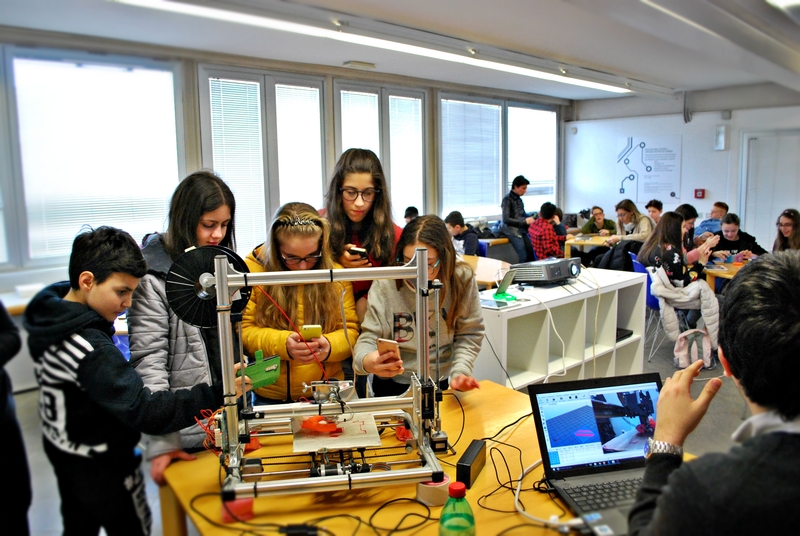 “Basic activities” are those actions realized by FabLab of Città della Scienza that are necessary to become part of the international network of FabLab as required by government of the World FabLab International Association. Meetings and workshops on education to digital culture started. Great importance got the meeting with the Contamination Lab of Naples. During the meeting the main goals of the project involving Città della Scienza were established and the possible activities within the spaces dedicated to the laboratory and those activated with the instruments available were explained. The second activity focused on a presentation of simple robotics concepts and interaction with Lego Mindstorm through challenges in which children have put into practice the skills acquired. One hour lessons where children come into contact with issues and machines connected with the digital world. “Città della Scienza 2.0: new items and services for the knoweldge economy” funded by MIUR, FISR resources – CIPE 35/2014 – CUP: G64B140000100005.